M – What’s a donkey shade? M – What S. H. A. Y.? D – You know what a donkey shay is? D – Like a cart, but a shay. 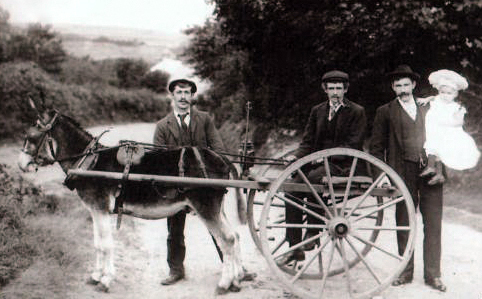 So, for those that didn’t know what a donkey shay is here is one, photographed in Leedstown Cornwall. Special thanks to the photographer who took this image for putting my mind at rest!